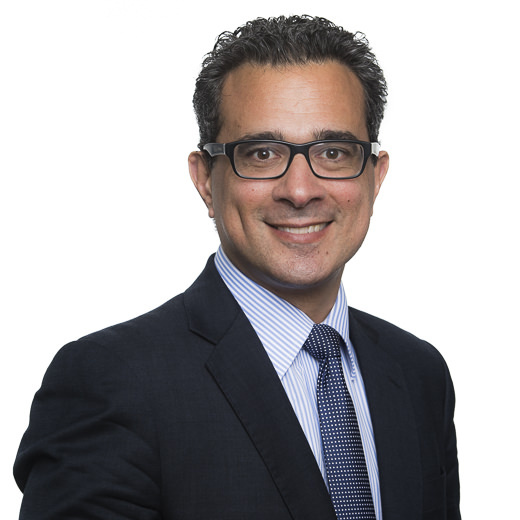 Dennis Miralis is a leading Australian defence lawyer who specialises in international criminal law, with a focus on complex multi-jurisdictional investigations and criminal prosecutions. His areas of expertise include bribery and corruption, global tax investigations, proceeds of crime, anti-money laundering, worldwide freezing orders, cybercrime, national security law, Interpol Red Notices, extradition and mutual legal assistance law. Dennis advises individuals and companies under investigation for economic crimes both locally and internationally. He has extensive experience in dealing with all major international investigative and regulatory agencies, including the DOJ, SFO, FBI, IRS and the SEC. Dennis has significant experience in all matters involving investigations and prosecutions by the AFP, ASIC, ACIC, AUSTRAC, ATO, the CDPP and all state agencies including the NSW Police State Crime Command and NSWDPP. Dennis also specialises in matters involving the New South Wales Crime Commission, Independent Commission Against Corruption and Royal Commissions. 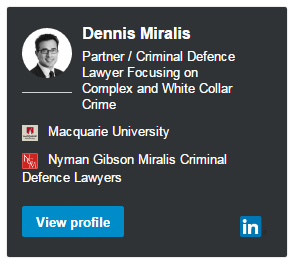 Global Law Experts named Dennis Miralis as their Recommended Attorney for White Collar Criminal Defence in Australia. What makes a Deferred Prosecution Agreements Scheme Desirable? Are There Other Options? International Criminal Law: What Do You Do If You Accidentally Breach Laws? Dennis is a Lexology author. Exclusive member of The Lawyer Network for White Collar Crime in Australia. 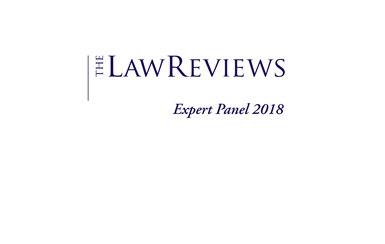 Dennis Miralis has had feature articles published in the NSW Law Society Journal, has appeared on all major television channels to discuss criminal law and his essays have been included in HSC and University reading lists.